Van Lear, Kentucky, may be one of the most-celebrated coal-mining towns in the Southern Appalachians. It grew so big, so quickly, that one newspaperman called it “the overnight city,” but when Consolidation Coal Company sold the town in the 1940s, its status faded almost overnight. 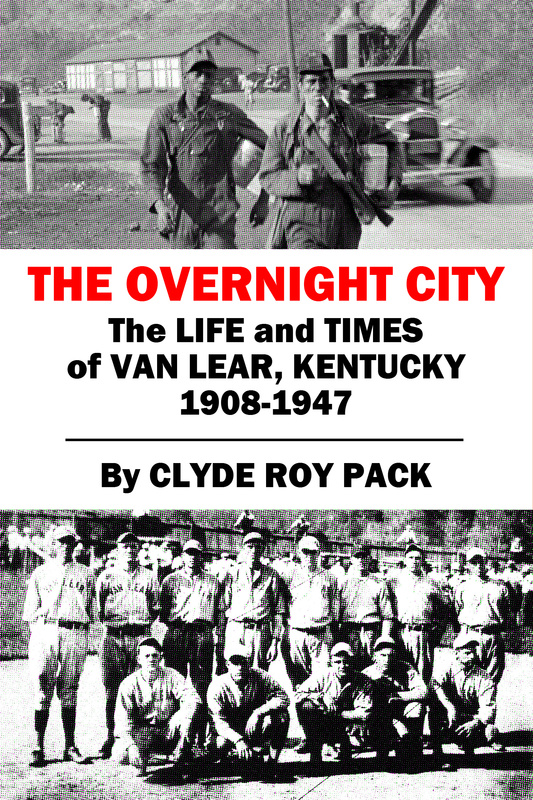 The Overnight City: The Life and Times and Van Lear, Kentucky, 1908-1947, uses contemporary newspaper clippings to create a portrait of a proud and self-reliant community from the days before World War I through Prohibition and the Great Depression to World War II. The Overnight City gives readers a glimpse into ordinary life during an extraordinary period of the early 20th century. Jenny Wiley was a young wife and mother in 1780s Virginia when a band of Native Americans attacked her farm, killed her children and dragged her hundreds of miles, across rugged hills and swollen rivers, to the wilderness of present-day Eastern Kentucky. Her story of sorrow and survival became the stuff of legend, a tale passed from one settler to another as a warning and from one generation to the next as a testament to the hardships and bravery of the Big Sandy Valley’s first settlers. The Stories of Jenny Wiley is the first book to not only separate the threads of history from the broadcloth of legend but also to look at the historians and storytellers who have honored and preserved her legacy and carried her memory into the 21st century. Before good health care and decent schools reached the hollows of Eastern Kentucky, families struggled to make sense of the world around them. When a baby was born or a mother fell ill, families could do little but hope and pray and look for signs. They relied on old superstitions and a deep Christian faith to help them make sense of a world they didn’t understand and couldn’t control. Illustrated with classic cartoons from Clyde Roy Pack’s “Poison Oak & Country Folk,” the cures and superstitions in Pretty Babies Grow Up Ugly and Other Old-Time Beliefs offer a unique and humorous look at some of the beliefs of ordinary families who lived in the Southern Appalachians a hundred years ago. Kindle edition also available!